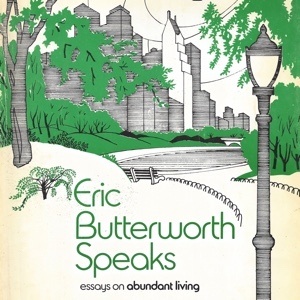 Eric Butterworth Speaks: Essays on Abundant Living were delivered as radio broadcasts in the mid-1970s to listeners in New York City and Philadelphia. They are short, powerful, practical prosperity messages by Unity's famous minister. Each essay is two pages in length and takes about five minutes to read. If you would like, we will email a new essay to you each Wednesday. They are a nice mid-week reminder to live abundantly. To sign-up (for free), click here and choose "Eric Butterworth Speaks Message each Wednesday" on the form. If you are already subscribed to our mailing list, then you can add yourself to this special list by chosing "Update Subscription Preferences" at the bottom of each email.